These earrings are quick and easy and inexpensive to create using minimal supplies. They make wonderful personalized gifts since you can make these roses in any color you desire. Christmas will soon be here and what better gift them one created especially for the recipient. 1. You can make your earrings as small or as large as you desire depending upon how large your clay balls are. Roll eight pieces of clay into balls. Make them all the same size. It is easiest to work on the end of a clay needle tool attaching your roses to the end. 3. Flatten a second ball with your fingers and attach to the base of the rose. This is the first petal. Curl the ends down. 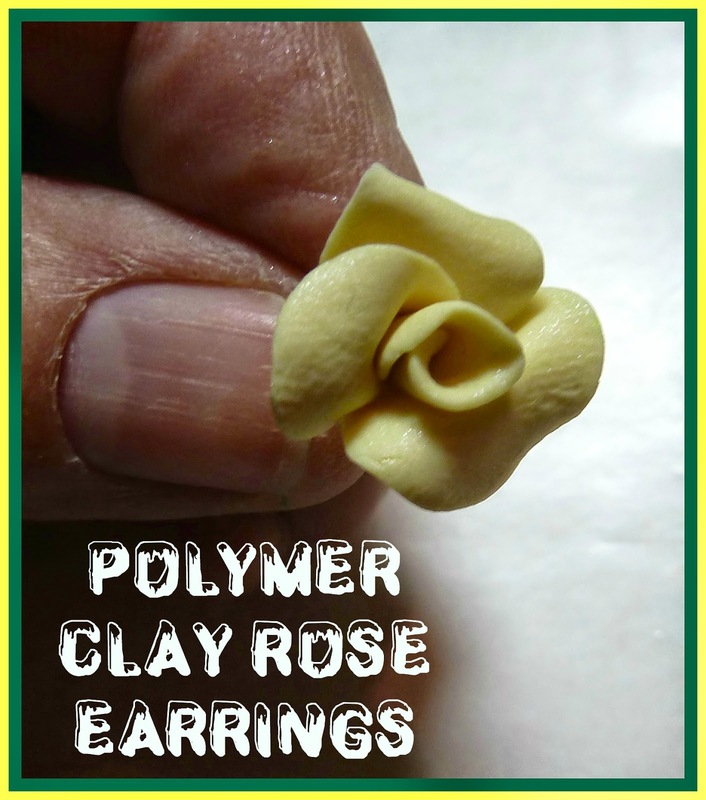 (See photo) Continue flattening and attaching petals with the other two balls of clay like you did with the first one pressing at the base to secure them. Remove the rose from the needle tool and set aside. Repeat steps 2-3 for a second earring. 4. When you have finished making your earrings you will need to bake them. Set them on a cookie sheet covered in aluminum foil and bake in a 275 degree oven for 20 minutes. Remove from the oven and let cool. 5. Using E6000 glue attach each earring to an earring post. Let dry completely. how cute :) very nice tutorial. thanks for sharing! Thanks so much for sharing on craft schooling sunday, my daughter is great with small polymer clay crafting, she is gonna love this! Super cute! I haven't tried using clay to make jewelry. These earrings are so cute! Thank you for linking up with Creative Style Linkup! Have a blessed weekend!